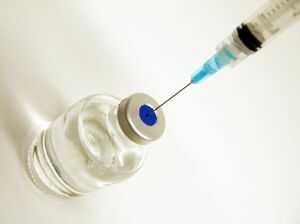 In recent months, patients throughout the United States have been fearful of meningitis outbreaks after the New England Compounding Center (NECC) in Framingham Massachusetts sent out vials of steroids that were contaminated with fungus and bacteria. The steroids were used to inject patients with back and joint pain, so the fungus and bacteria was injected directly into the spine. Some patients died as a result of the contaminated injections and the resulting meningitis, while others suffered serious strokes or other complications. In light of the outbreak, the Food and Drug Administration (FDA) is now considering new rules for pharmacies. Our Watertown personal injury attorneys urge lawmakers to take a tough stance on regulating pharmacies and to do everything possible to protect patients from another deadly outbreak like the one suffered as a result of NECC’s failures. According to a recent NBC News article, FDA officials and state representatives scheduled a December meeting in order to address how to better regulate pharmacies. The issue with the current regulations is that the function of compounding centers has changed in recent years. Compounding centers exist in order to make medications by mixing and distributing drugs. Typically, these compounding pharmacies take individual prescriptions from patients and make medications to order. These small compounding pharmacies are regulated by states while large drug manufacturers are regulated by the FDA. However, there is also another type of compounding pharmacy, which is dubbed a “super-compounder,” and the FDA wants to recognize these as a separate type of compounder to be regulated differently. The FDA, in other words, would create two categories of compounding pharmacy. Super-compounders operate differently than traditional compounding centers and have only existed for about a decade. These pharmacies, like NECC, are high output pharmacies that operate on a grand scale. In effect, they are manufacturing drugs and distributing them widely- yet they are not currently regulated as manufacturers and they are not subject to the federal regulations and oversight that they should be subject to because they are considered compounders. These super compounders are, in essence, illegally manufacturing drugs under the guise of pharmacy compounding. The FDA proposes to shift the regulations of these facilities to the federal government while leaving states responsible for small compounding facilities. The two categories that would be created are compounders, regulated by the states, and super-compounders, regulated by the government. Although the FDA does aim to shift some of the oversight of super-compounders to the federal government and away from the states, NBC News reports that a consumer group called Public Citizen is concerned that the FDA proposal is not the most effective way to make consumers safer. Public Citizen points out that the FDA is legitimizing the potentially illegal manufacturing by compounders and expressed concern that the FDA was trying to pass some responsibility for regulating even large compounders to the states. The consumer group also argues that the large super-compounders would largely be manufacturing steroids, which are injectable and which are a high-risk class of drugs. Regardless of whether the consumer group is right or whether the FDA’s new regulations are the answer, it is clear that tougher regulation of some type is necessary. Lawmakers need to act to make sure that compounding pharmacies meet safety guidelines and need to do everything in their power to prevent another outbreak like the one caused by NECC’s failures. If you or a loved one has been injured by a drug compounding error in the Greater Boston area, contact the personal injury attorneys at the Law Offices of Jeffrey S. Glassman, LLC for a free consultation to discuss your claim. Call 1-877-617-5333. More Bacteria & Fungi Found in Drugs from Compounding Pharmacy, Boston Personal Injury Lawyer, December 5, 2012.